Let’s be honest. It’s a challenge to be a teacher in this day and age. Class and student engagement is at an all time low. 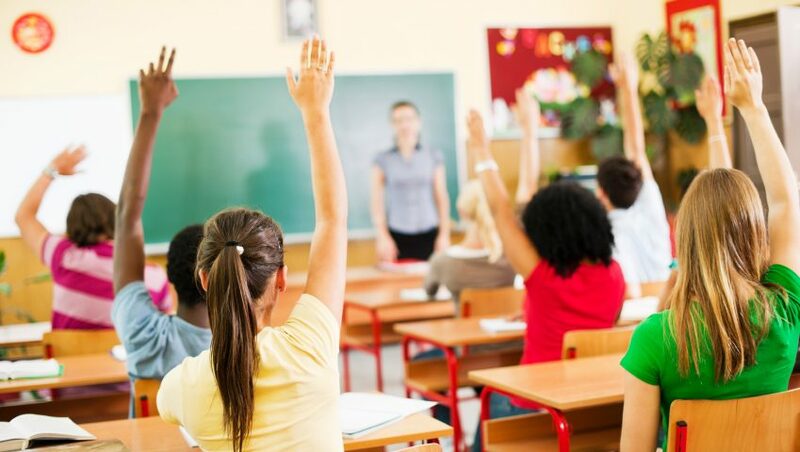 In a world that is all about instant gratification, constant technology and constant distractions; it’s easy to see why it’s a struggle to keep student attendance up, your class interested and parents informed. Chronic absenteeism is not just a small thing. It’s persisting in schools across all areas and age groups and is affecting up to 8 million kids per year. When kids miss school, they fall terribly behind the other students and are at risk for total delays in emotional and social learning. They don’t learn to read properly or at grade level and they in turn are at a huge risk for dropping out later in their school career. Even if they do stay in school, being behind is a good indication on whether or not they will succeed later in life. It also wrecks havoc on their personal development, self-worth and self-esteem. Obviously, it’s a big deal and something that needs to be handled as quickly as possible. Early detection and intervention is key. That’s why vclassrooming.com attendance module is so functionally important for every teacher. You’ve got to have open and honest communication with the parents. Sometimes detecting the problem and reporting it to the parents is all that’s needed to solve the problem. Some parents don’t realize there is an attendance issue, or don’t realize that it’s a big deal if they do know about it. They might figure that their child has missed only a day or two, when actually the reality is that it’s a chronic problem. It reflects the attendance score across the entire platform. Key admins can track and check student progress at any time. Notifies parents every time and creates consistent monitoring and expectations for all involved. The first challenge is to get the kids in the classroom. The next challenge is all about keeping them interested and engaged. If we can take the attendance monitoring and follow up off the teacher’s plate, that will give them more time, energy and resources to keep their students engaged, interested and learning. So what are some things that a teacher can do or focus on to keep their students attending class, engaged and interested? We’ve put together a quick list that should give you some good ideas. If you can nip the boredom in the bud and get them interested, they will be much more likely to actually absorb the information you are giving them. They will not only attend your class, but they will participate and actually pass the class. As a teacher, it will take some effort on your part- but let’s be honest when your students are bored; you’re probably just as bored as they are. So let’s jump in and give you some ideas on how to bring your class engagement and attendance up. Have a good time teaching and actually enjoy what you do. Another no-brainer, but if you hate your job and dread going to class, you can bet that your students are picking up on that. If you are engaged in what you are doing and enjoying it, they will be more likely to enjoy the class and be engaged. Use technology. I know it sounds like a no-brainer, but seriously, kids today are so technologically wired. Use technology. It will be more interesting, the kids will enjoy it and they’ll actually want to come to your class. It’s a great opportunity to use the Vclassrooming LMS system. Kids respond to technology, even if it’s the technology that is tracking their attendance. Teach a discussion-oriented class. No one wants to sit and listen to someone drone on and on about some topic. Get the kids talking- they love discussions and they love to be heard. Teaching should not be a passive exercise. If you can get a conversation started in your class, you can guarantee it’s a class that kids will want to come to. Treat your students like you might a good friend, and you’ll probably find they will respond positively and become engaged. Kids also love a competitive environment where they can jump in and be part of the discussion. If you can get one child to start participating, the domino effect will happen and other kids will also want to participate. Consider incorporating a grading system that is based on student engagement. This is another great took the VClassrooming has and can offer. It’s a whole new way to monitor and grade your students in a way that put them all on a level playing field from the beginning. Sometimes it’s too easy to give a letter grade or a pass or fail. If students thought they were being graded on their engagement, you’d probably find that they were more likely to be engaged. Whenever you can cloak information in a mystery, your students will be more interested. They love a good mystery and they love having to work for the information and solve the puzzle. Make it fun. Make it interactive. Make it like a game if you can. Don’t just stand at the front of the room and tell them the information. It’s too easy to stop paying attention and zone out- and as we know, participation is key to making sure these kids have a bright and successful future. Laugh, laugh, laugh. Get crazy, be weird, laugh at your student’s jokes, tell your own jokes, and make it fun for everyone to be there. Kids will always respond to humor and fun. Don’t worry about letting loose and setting your authority aside for your kids. There is a time and place to be a serious authority figure. Lean on that when you need to, but when you don’t, enjoy your students. They will enjoy you much more as well and want to come to class. Also, it’s a great way to build their self-esteem. Kids always do better when someone is engaged with them, enjoys them and is legitimately excited to see them. For example, there was a professor I had once in my MBA law class that always joked around and sometimes made fun of some of the students (in a friendly way). I can’t remember what I learned in that class, but I still remember the humor and I remember being motivated to continue to show up to class because my teacher keep me engaged and laughing. Let your students have some creative freedom in your classroom. If they are able to be who they are, express who they are and learn in a way that’s comfortable for them they will want to show up to class and your attendance will skyrocket. There are so many different ways to do this. I know of one teacher that is going the extra mile by assigning different students topics and days they are in charge of teaching the class. The kids are engaged in planning and executing the lessons and have total creative freedom to express themselves the way they want to. Another teacher shows up every Friday in a different and totally ridiculous outfit or costume of some sort. The students are never sure what he’s going to wear and they all want to show up to see. Another teacher is totally engaging her students in these amazing discussions. She has been able to really hone in on what makes her students tick, what makes them think and what gets them excited. She incorporates all of that into her lesson plans and is able to reach all of her students exactly at their level. It’s taken some work for sure, but she’s touching lives and creating a lasting impression. Automating your attendance process will free you up for more time, passion and energy to put into your classrooms and your students. After all, people are more important than numbers or grades. Utilize some of the above ideas to engage your students, to get them interested, to keep them motivated and to keep them showing up to class.